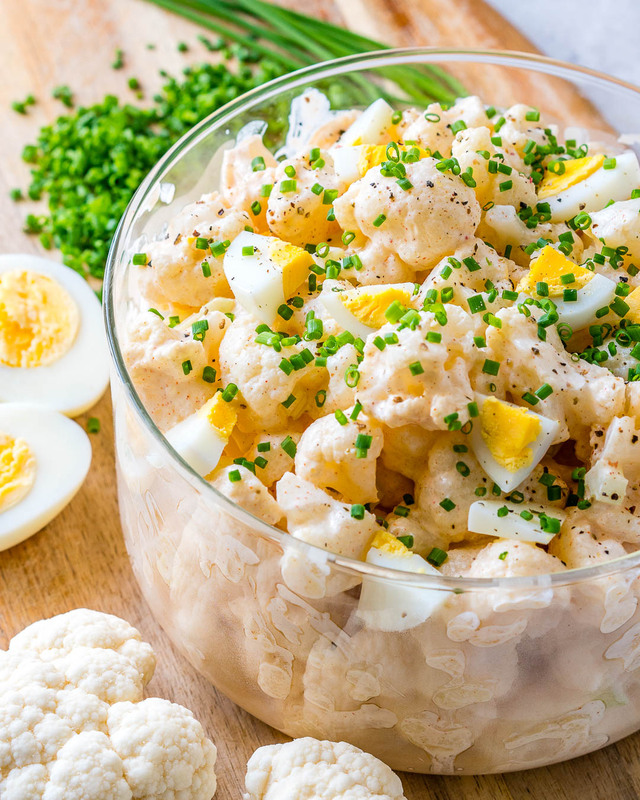 The funny thing about this salad is that it’s created as a healthier version of our typical potato potluck salads ….. It doesn’t need to pretend at all!!! This salad has got its own thing going on altogether. 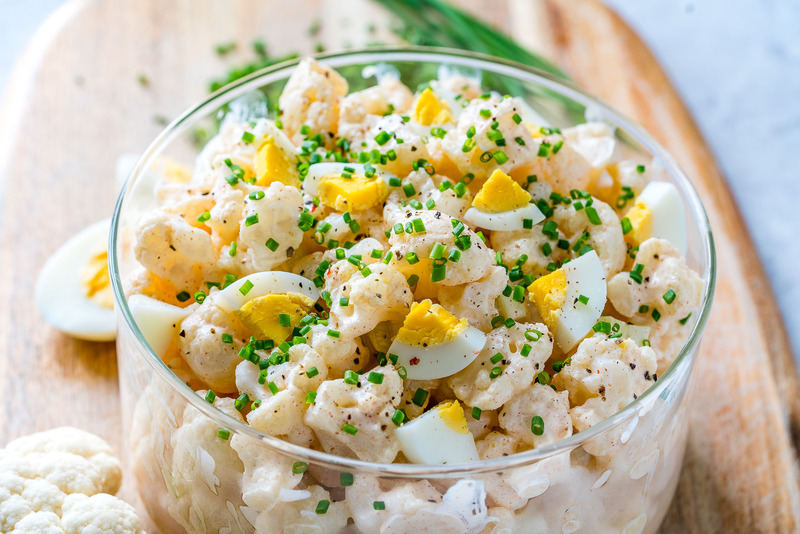 Like, I actually prefer this over potato salad! 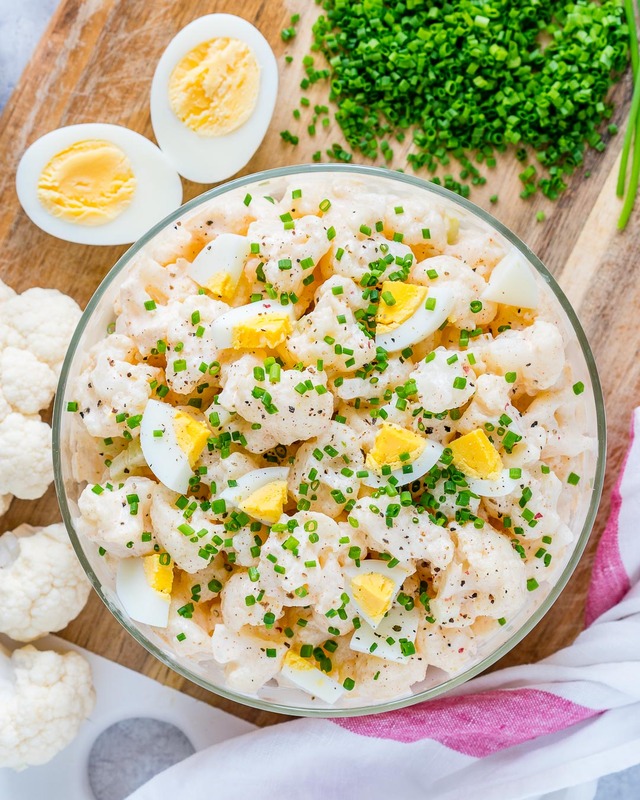 It’s not a compromise in any way (in my humble opinion) it’s a DELICIOUS salad creation that hits all the right taste buds while it just-so-happens to be low carb, lower calorie, and totally PACKED with nutrients! Boil a large stockpot of water with 2 teaspoons of salt. Add the cauliflower, and simmer until tender but firm (just about 3-4 minutes). 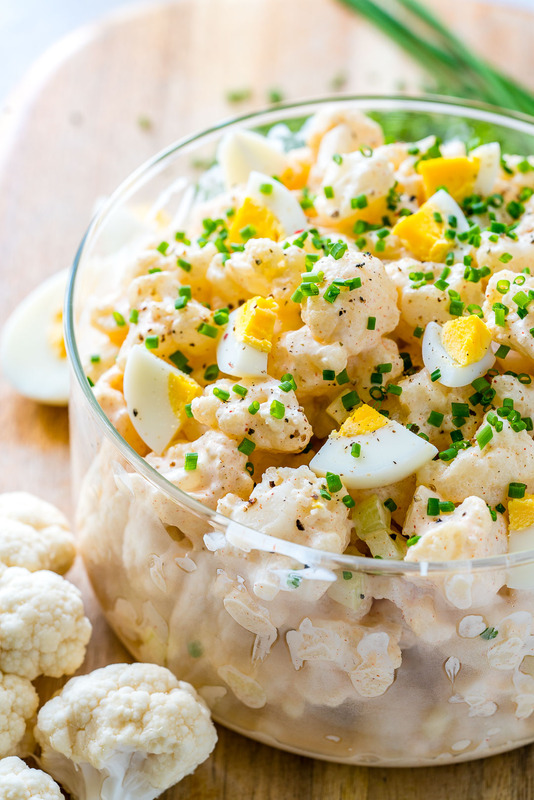 The trick here is to keep the cauliflower firm like a potato is prepared for potato salad. Not too soft, not too hard. Just right. Drain very well. We want ZERO water in the salad. Allow to cool for a few minutes. Meanwhile, whisk together the yogurt, apple cider vinegar, honey, Dijon mustard, garlic powder, paprika, sea salt, and pepper, until smooth. Taste test, adjust as needed. 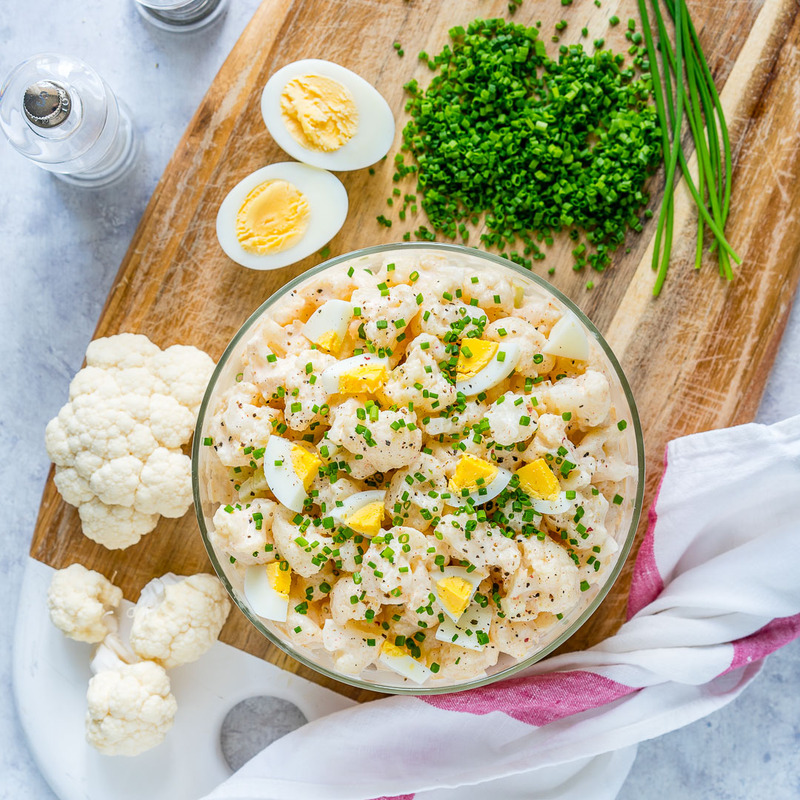 In a large bowl gently stir the cauliflower, onion, celery, and egg together with the dressing. Gently toss, then sprinkle with chives or parsley. Stays good refrigerated for about 48 hours. Enjoy and remember to tag me @CleanFoodCrush in your creations! 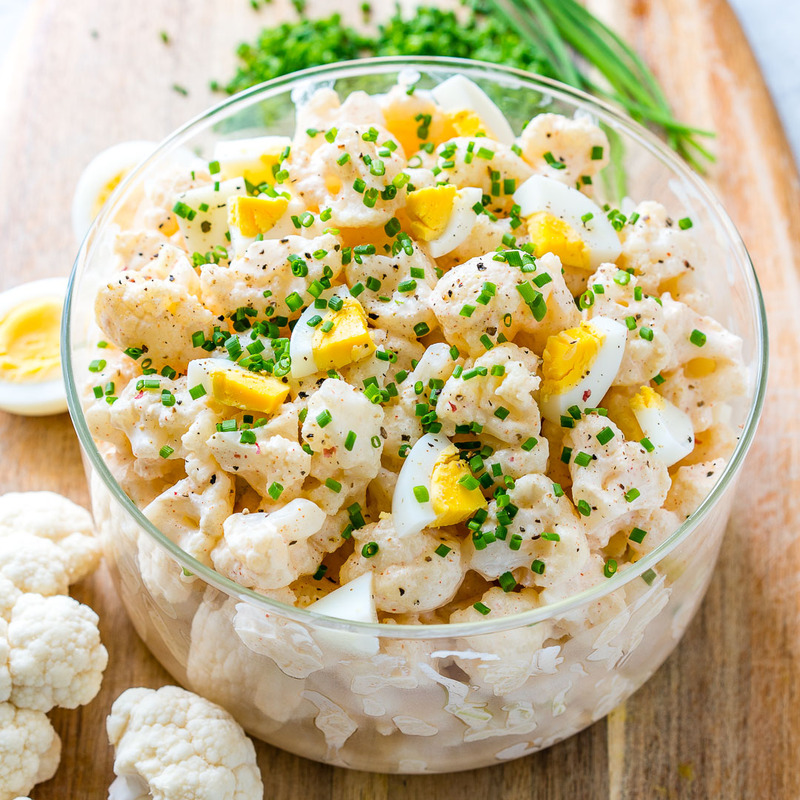 Cauliflower “Potato” Salad for Clean Eats! Boil a large stockpot of water with 2 teaspoons of salt. 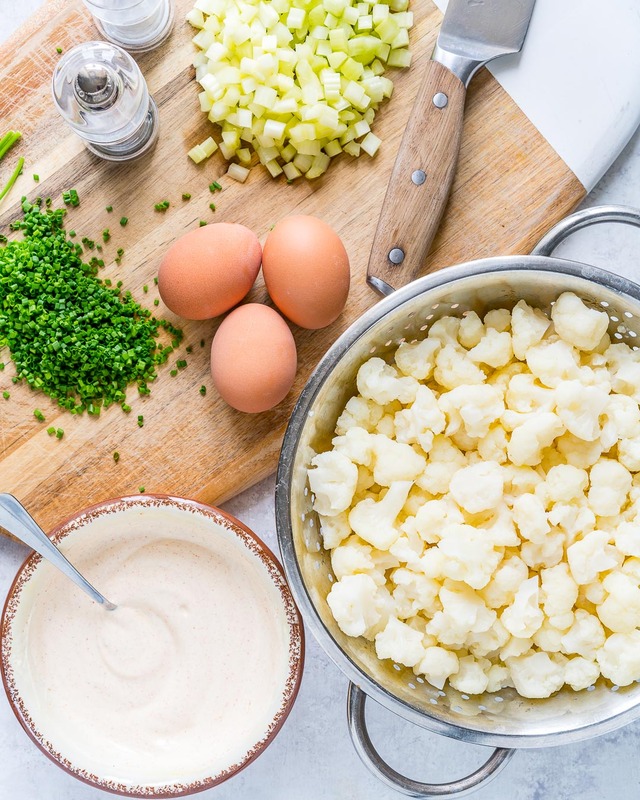 Add the cauliflower, and simmer until tender but firm (just about 3-4 minutes). 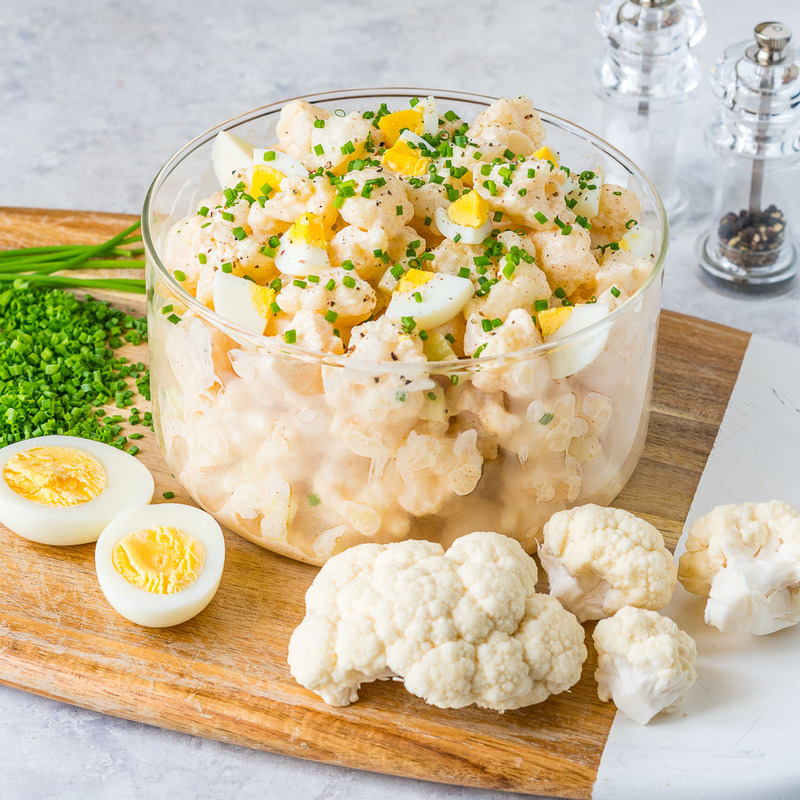 The trick here is to keep the cauliflower firm, like a potato is prepared for potato salad. Not too soft, not too hard. Just right. Drain very well. We want ZERO water in the salad. Meanwhile, whisk together the yogurt, apple cider vinegar, honey, Dijon mustard, garlic powder, paprika, sea salt, and pepper, until smooth. Taste test, adjust as needed. 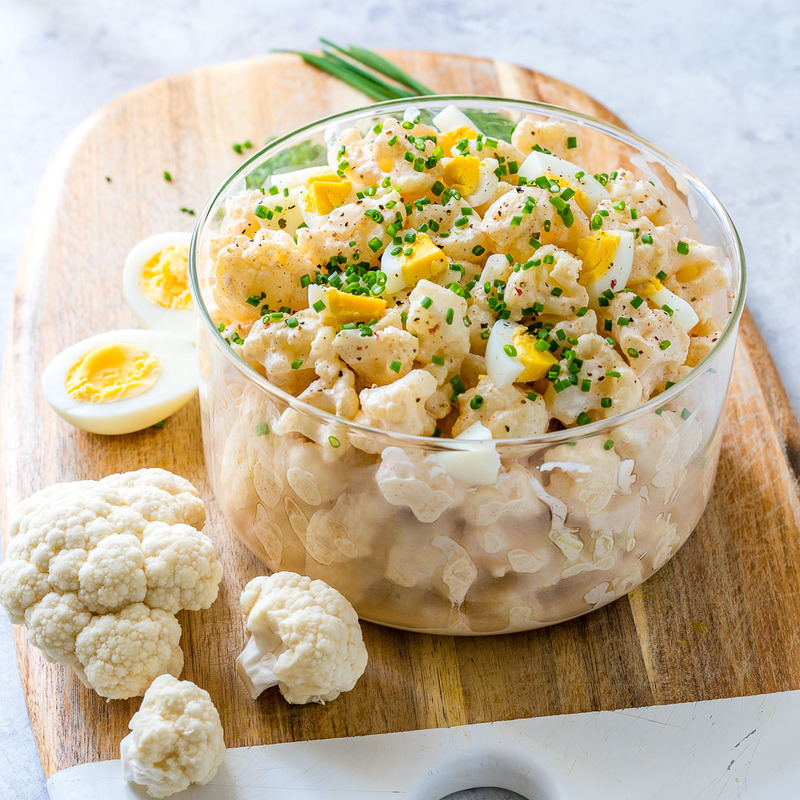 In a large bowl gently stir the cauliflower, onion, celery, and egg together with the dressing. Gently toss, then sprinkle with chives or parsley. Stays good refrigerated for about 48 hours.